Hammond possesses abundant musicality and prodigious technique that allow him to perform challenging scores with aplomb and authenticity. An accomplished Elgarian plays a heavenly Bristolian organ. . . A sonic treat. 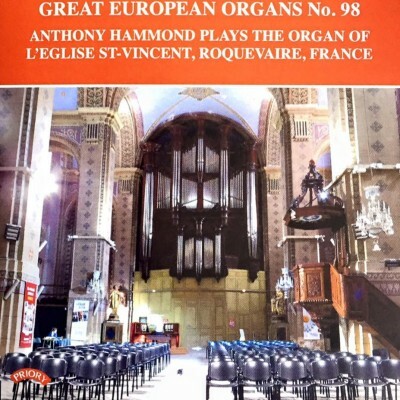 Dr. Anthony Hammond is a critically acclaimed English concert organist, composer and musicologist. His principal organ studies were with Roger Fisher and David Briggs in England, and with Dr. Naji Hakim in Paris. 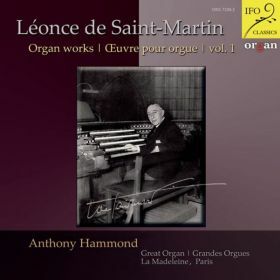 As a performing and recording artist in Europe and the USA he is known particularly for his specialism in French Romantic and 20th century organ music, and as an improviser. He made his American solo debut in San Francisco in 2009 and enjoys a busy performing career in prestigious venues on both sides of the Atlantic. He has recorded a number of CDs both in England and France for English, German and American labels (Priory, Ifo Classics, Raven), has broadcast on radio in the USA and for the BBC, and is in increasing demand for his improvised accompaniments in concert to classic silent movies. Pleased to support http://www.organrecitals.com/ for recital and concert listings.